This beautifully balanced chi filled 100ml Wood Element Balancing Spray is handmade with love, intention and healing Chi by Denise Robinson. 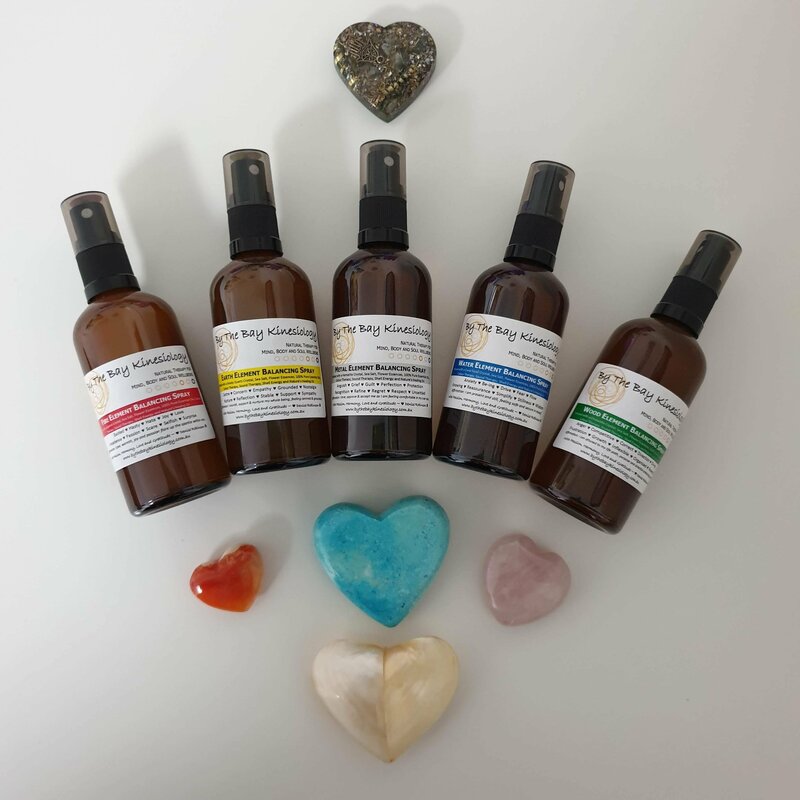 If you feel angry, critical, defensive or unsure of yourself and your role and purpose in life and struggle to get ‘doing’, grow and move forward then this Wood Element Balancing Spray is for you! It will bring a sense of growth, good judgement, leadership, flexibility and a clear direction and personal vision for your future. 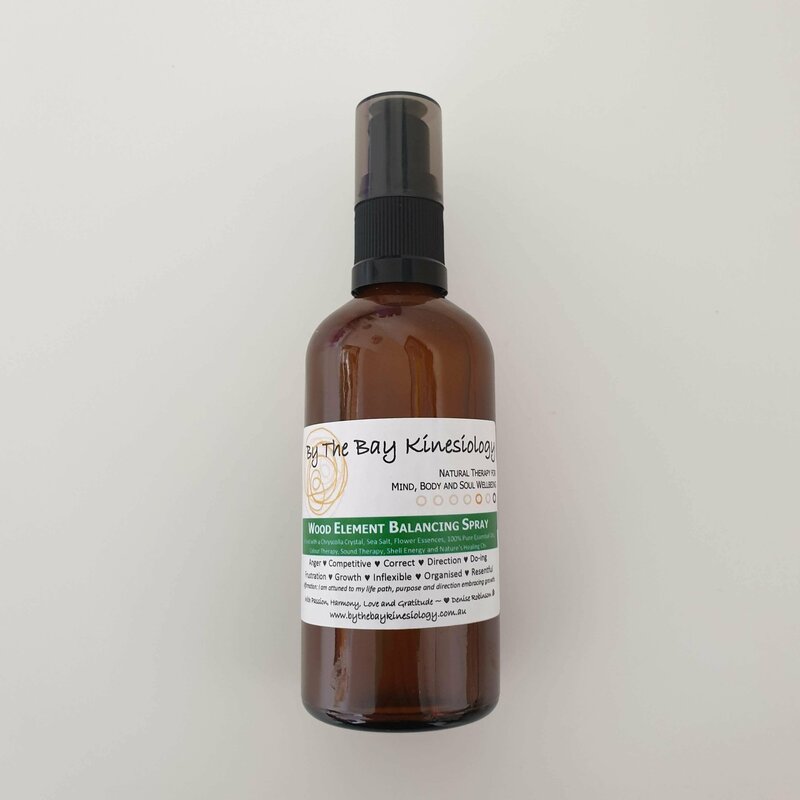 This gorgeous aroma balancing spray will assist in balancing, clearing and uplifting the Wood Element plus aligning you to your constitutional Element and the Spring season. Simply spray the mist over and around the body to bring balance to that Wood Element within you. Associated Emotions: Anger, Competitive, Correct, Direction, Do-ing, Frustration, Growth, Inflexible, Organised, Resentful. 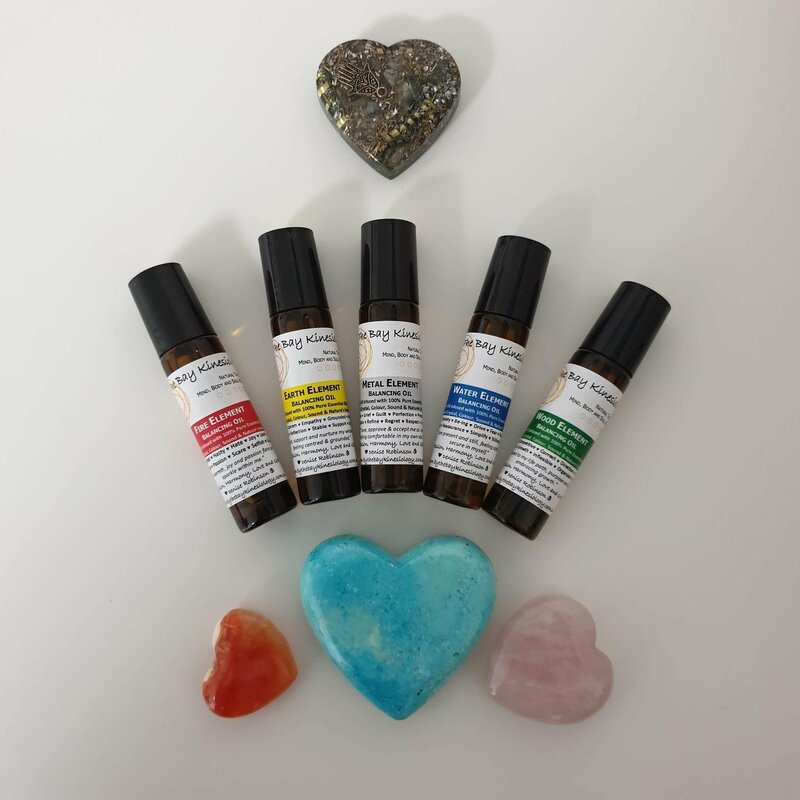 This beautifully balanced chi filled 15ml Wood Element Balancing Oil is handmade with love, intention and healing Chi by Denise Robinson and packaged in a practical cute roller bottle for easy use. If you feel angry, critical, defensive or unsure of yourself and your role and purpose in life and struggle to get ‘doing’, grow and move forward then this Wood Element Balancing Spray is for you! It will bring a sense of growth, good judgement, leadership, flexibility and a clear direction and personal vision for your future. 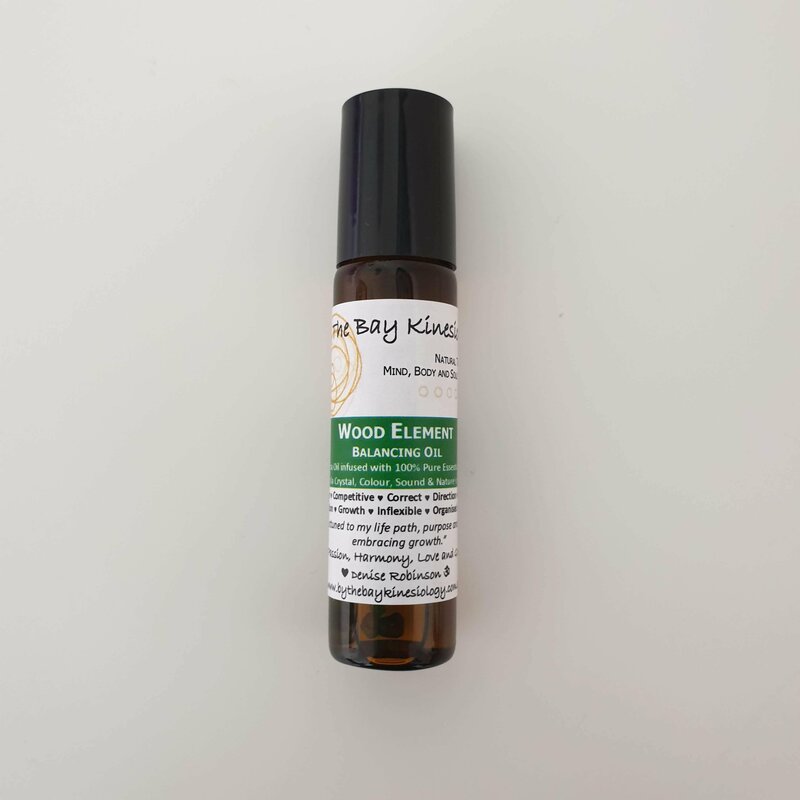 This gorgeous aroma balancing oil will assist in balancing, clearing and uplifting the Wood Element plus aligning you to your constitutional Element and the Spring season. Simply roll on wrists, neck or on the body or just wear as perfume to bring balance and harmony. Clear Jojoba Oil infused with 5 x specifically chosen 100% pure Essential Oils and a Chryscolla crystal in a cute amber roller bottle.